World peace-themed conference possibly put on by the Women’s International League for Peace and Freedom’s Detroit branch in the 1960s. 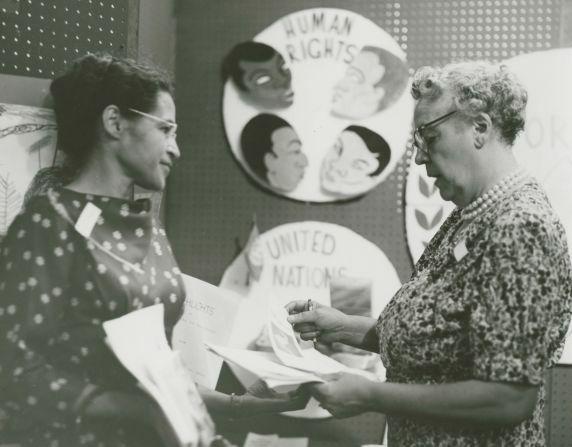 Rosa Parks is pictured talking to a WILPF Detroit branch member in front of the WILPF booth. It is unclear in what capacity Parks was attending the event, whether she was helming a booth or there just as an attendee.